This means your browser is now authenticated with your new certificate and you can log into the StartSSL authentication areas using your new certificate. Now, we need to get a properly formatted certificate set up for use on your server. Click on the Control panel link again, and choose the Authenticate option. 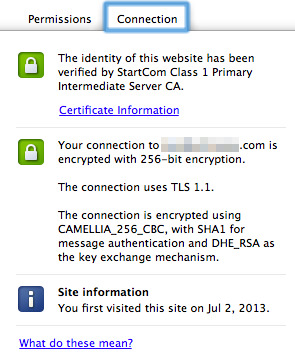 Chrome will show a popup asking if you want to authenticate and will show the certificate you just installed. Go ahead and authenticate with that certificate to enter the control panel. Check the email inbox for the email address you selected. You will get yet another verification email at that address, so like before, copy and paste the verification code into the StartSSL website. 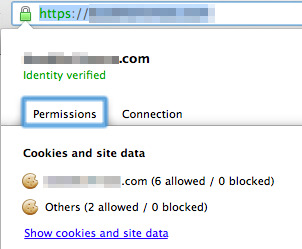 Next, go to the Certificates Wizard tab and choose to create a Web Server SSL/TLS Certificate. Having a certificate isn't any good if you can't actually use it. This section explains how to configure Apache to use your new SSL certificate. These instructions are for Apache running on recent versions of Ubuntu Server. For other Linux-based distros or web servers, you'll have to adjust accordingly. Copy the files you set up in the previous section into the /etc/apache2/ssl folder on your Server.